If you follow us on social media, you've seen us raving about the amazing panel discussion we hosted at our Los Angeles Square during our Fall/Winter '17 market. 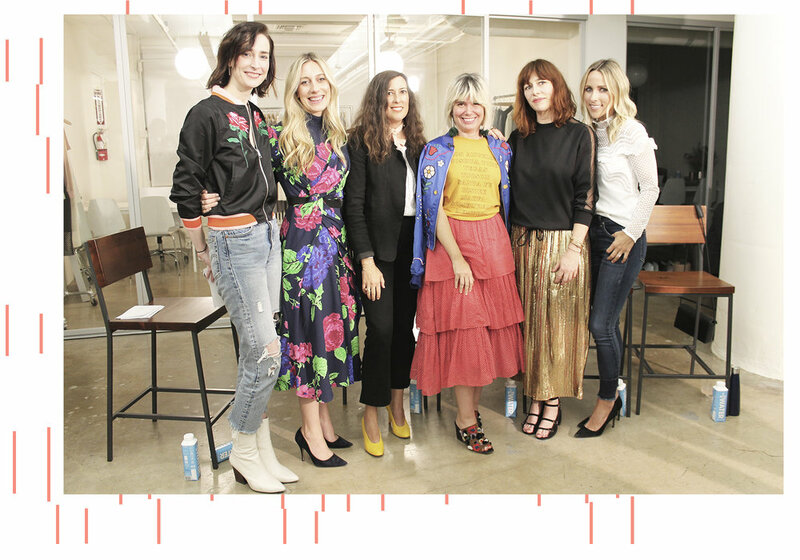 "California Dreaming: Insiders Perspectives on LA's Fashion Revival" is what we hope to be the first of many discussions held at our Squares in both New York and Los Angeles and we couldn't have asked for a better group for our first panel in LA! In partnership with The Zoe Report we were lucky enough to have Nicky Deam, Editorial Director of The Zoe Reportmoderate the panel of Clare Vivier, Owner/Designer of Clare V.; Jacey Duprie, Editor/Blogger at Damsel in Dior; Jen Gotch, Founder and Chief Creative Officer at Ban.do; and celebrity and editorial stylist, Penny Lovell. We know not all of you could be there, so we want to give you a sampling of some of our favorite moments from the talk (because we're nice like that). Below are our top bites and photos from the night to ease your FOMO and help you pretend you were there. We want to send a huge thank you to The Zoe Report for co-hosting this event, KW Private Bar Services for catering, our moderator Nicky Deam, all of our panelists, and everyone who came to celebrate the launch of our Los Angeles talk series! You're all superstars! We can't wait to continue these panels and bring even more incredible people together to discuss all things fashion and business. P.S. We want to see you, so make sure you subscribe to our newsletter to find out when and where our next event will be!